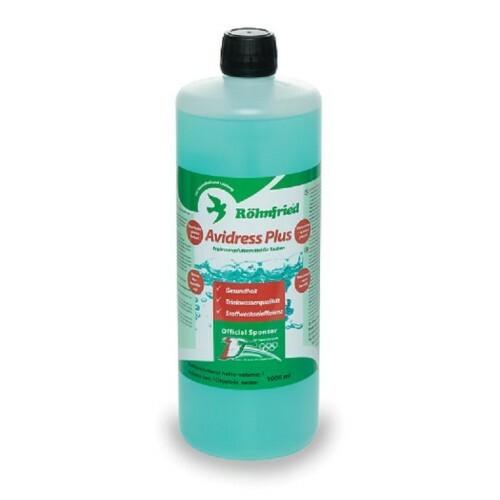 Avidress Plus 1000 ml by Rohnfried is a liquid supplement that combines herbs, essential oils and organic acids, very effective in preventing Salmonella, E-Coli, trichomoniasis, and streptococci. Plus Avidress are recommended throughout the year. - Administer 5 ml per liter of water daily. - During the season of contests, manage every day except the day of the layup and the day of arrival.